The scoring began with a safety when Tom Brady was called for intentional grounding in the end zone. And it ended with a touchdown that the Giants weren't quite ready to put on the board. Before the game Brady said he would prefer to be losing and have the ball for a final drive rather than sitting on the the bench with a lead. He got his wish, but not enough time, and was unable to move his team down the field with less than a minute to go. The Giants went ahead on a touchdown by Ahmad Bradshaw with 57 seconds left - a score he was trying to avoid so the Giants could run more time off the clock before taking the lead. 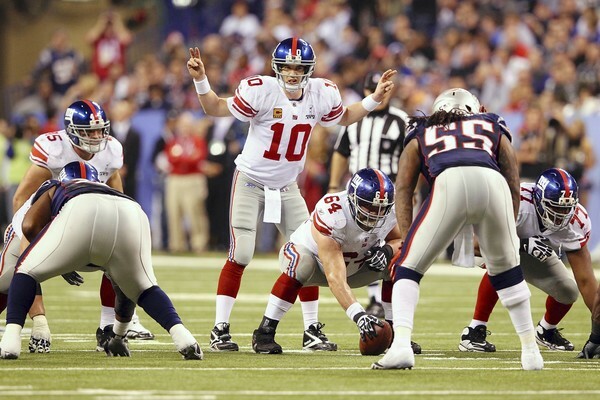 So Eli Manning and the New York Giants beat Tom Brady and the New England Patriots in Super Bowl XLVI just as they did in Super Bowl XLII. And Manning was named MVP just as he was in 2008. The commercials were pretty good, too. My favorite ad was the vampire party.